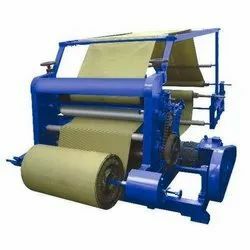 We are the Leading Manufacturer & Exporter of a wide range of products which include Paper Tubes and Cores Making Machinery such as Paper Core Machinery, Automatic Tube Finishing Machinery, Paper Core Winder, High Speed Core Winder with Multi-Cutter, Automatic Paper Core Cutter, Paper Tube Winder and many more items. We are an acclaimed name to offer a wide range of quality proven Paper Tube Making Machine that is used comprehensively in textile and packaging industry. The offered paper tube production line is designed and manufactured using optimum quality materials and highly advanced technology to meet the international quality standards. 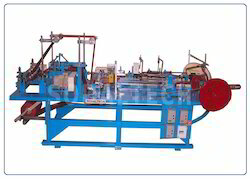 These paper tube production lines are available with us in various specifications to meet the requirements of various clients. Being a customer oriented organization we always try to timely deliver high-quality paper tube production lines to our valued clients at leading market price. Built-in control panel with remote station. 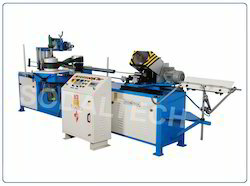 We are dealing with Heavy Duty Slitter Rewinder ETS 2000 Model and our product is made up of good quality. We are engaged in offering a broad range of Paper Tube Winder that is used to manufacture thin, medium walled paper tubes and cores for tissue rolls and fax rolls. 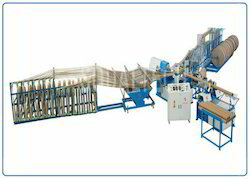 The offered range of paper tube winder is known for its precise quality standards. This paper tube winder is manufactured from the best quality raw material and under the guidance of skilled and experienced professionals. 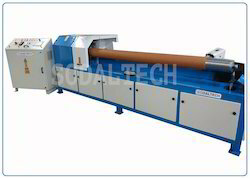 Offered range of paper tube winder is highly demanded in the market by various industries. Moreover, we assure to our valued clients to provide a quality tested paper tube winder that can be delivered from our end at a leading market price. 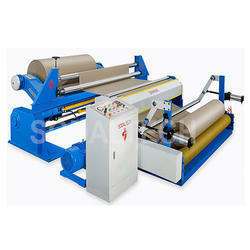 We have gained expertise in offering a quality approved range of Paper Core Winder. This Paper Core winder is suitable to produce thick-walled cores for various applications like reel cores, film winding cores, carpet cores used comprehensively in textile and packaging industry. The offered range of paper core winder is tested for its quality under the supervision of highly experienced and skilled quality experts before introducing in the market. Moreover, our customers can avail these paper core winders at the reasonable market price from us. 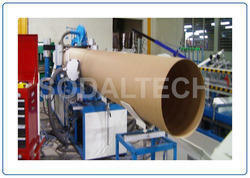 We are dealing with Ultra Heavy Duty Paper Core Making Machine and our product is made up of good quality. We are actively engaged in offering high-quality assortment of Automatic Tube Finishing Machine that is used for steel ball burnishing process. 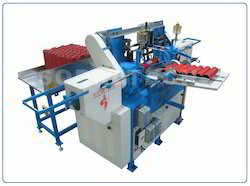 Offered automatic tube finishing machinery is provided in various customized options and specifications to meet the needs of our valued clients. 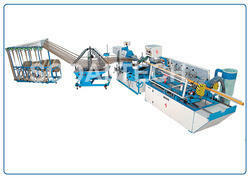 These automatic tube finishing machinery are made using superior quality raw material and latest methods of production. In addition to this, these automatic tube finishing machinery are manufactured under the guidance of highly skilled quality experts and easily available at market leading prices. 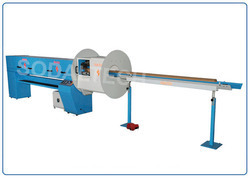 Our Automatic Core Cutter is used to re-cut jumbo length cores into smaller size cores. This machine is very ideal for users of paper cores like paper mills, newsprint mills, BOPP Film manufacturers, converters etc. who can reduce their inventory and hassles of buying cores in different lengths from core manufacturers. They can stock jumbo length cores and cut into required lengths suiting their production plans using this core cutter. This machine is fitted with suitable safety devices for operator's protection. The core cutter is simple to operate and maintain. 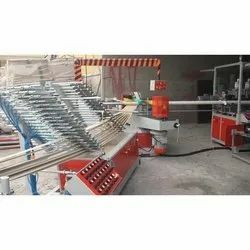 With the help of skilful and devoted professionals, we are engaged in offering the best quality range of Automatic Core Cutting Machine to the customers. These easy cutters are available in the varied technical specification to cater the client requirements. Offered collections of easy cutters are highly appreciated by our patrons owing to their longer life and lightweight. Moreover, the whole range of easy cutters is checked on well-defined industry parameters prior to its dispatch. These easy cutters are easy to operate and require less maintenance. Highly suitable for producing tubes for sewing thread, gun cartridges, pyrotechnic tubes (fireworks tubes) incense stick, packing tubes etc. This versatile spiral Paper Tube Winder is to deliver high output of pre-cut cores for toilet tissue winding, kitchen foil winding etc. With the valuable assistance of skilled team of professionals, we are engaged in offering an extensive range of high-quality Spiral Paper Core Making Machine. With the valuable assistance of skilled team of professionals, we are engaged in offering an extensive range of high-quality Paper Board Making Machine. Looking for Paper Tube and Core Making Machinery ?